It has been a few months since my last food list and, as it is my favorite topic, I thought I would produce another one. 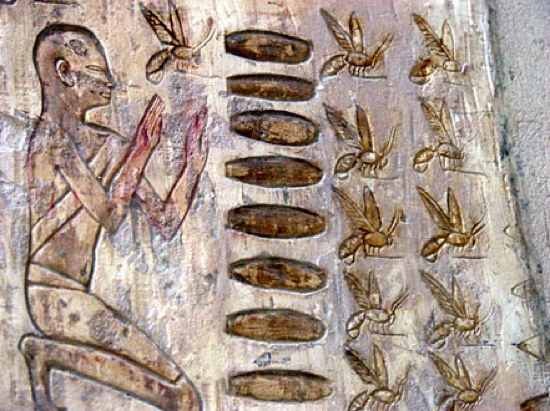 This list looks at ten more facts that haven’t been on Listverse before. As usual, mention any others you might know in the comments so we can all benefit from learning new things! The nutmeg tree is the only tree that provides two spices: nutmeg (the one we are all familiar with) and the lesser known mace. 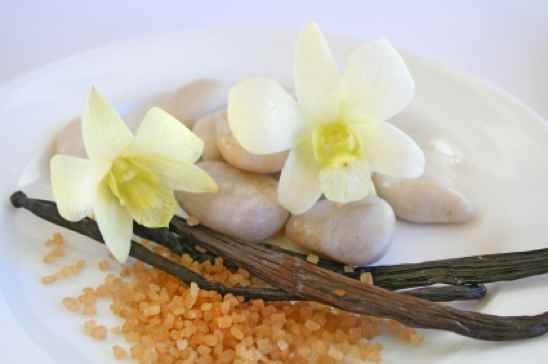 Mace was very popular in the 18th century as a flavor additive to meat products and is an essential ingredient in the traditionally made French white sauce, where the mace is steeped with an onion in hot milk before being added to a mixture of flour and butter to produce béchamel sauce – the French “mother” sauce. 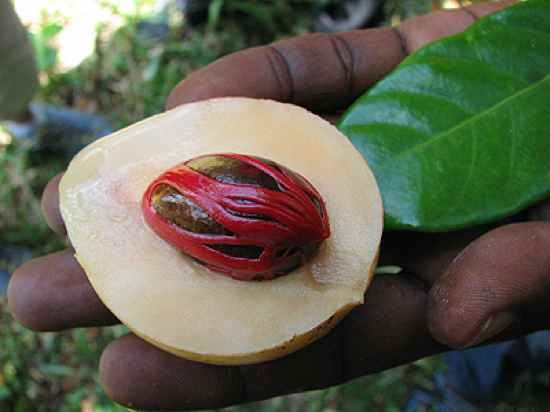 Pictured above the nutmeg is the brown seed and the mace is the red outer layer. Sushi is not from Japan. It originated in the 4th century BC, in Southeast Asia where it was salted and fermented with rice to preserve it. After a couple of months of fermentation the fish was removed from the rice, and the rice discarded. It eventually spread to China, and was introduced into Japan in the 8th century. The Japanese preferred to eat their fish with rice and so the modern Japanese variant was born. In the 1980s, as a result of health consciousness, sushi began to spread all over the world. 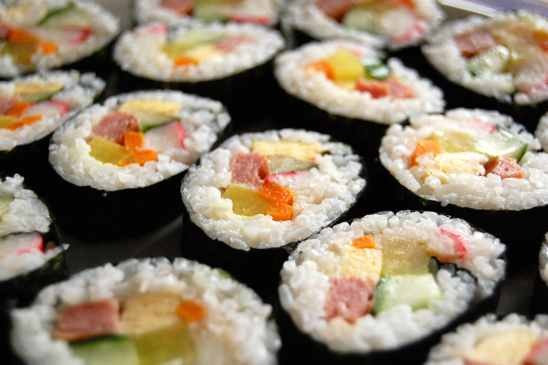 If you are not a fan of raw fish in your sushi, try Korean kimbap (pictured above) instead – it is almost identical but usually featured cooked meat products. 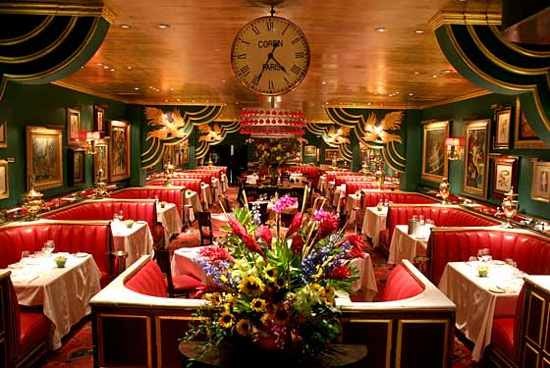 While most of our Western food flavors originate in French cuisine, the style of service we are all most used to – individual plates pre-filled and served – is called Russian service, and it originates from the table of the Czar. 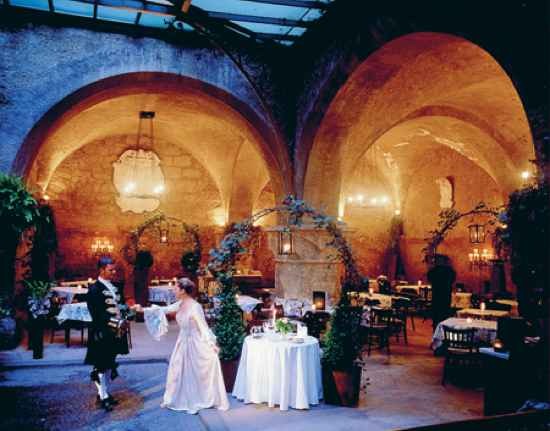 In French cuisine it was traditional for all food to be prepared in advance and displayed in huge amounts on side tables – it was an extremely lavish affair. But the end result of this was that much food was wasted and wasn’t always hot. Russian service, prepared with the expertise of the chef in the kitchen, caught on very fast and was so convenient that it is now the primary way we dish our meals at home. The first tin cans used to preserve food appeared in the 1770s, in the Netherlands and were used by the Dutch navy. The first patent for tin cans as a method of preservation appeared in 1810, and was submitted by Peter Durand, a British merchant. These first tin cans were usually heavier than their content and were opened with whatever tools you had lying about – in fact, one can carried the instructions: “Cut round the top near the outer edge with a chisel and hammer”. 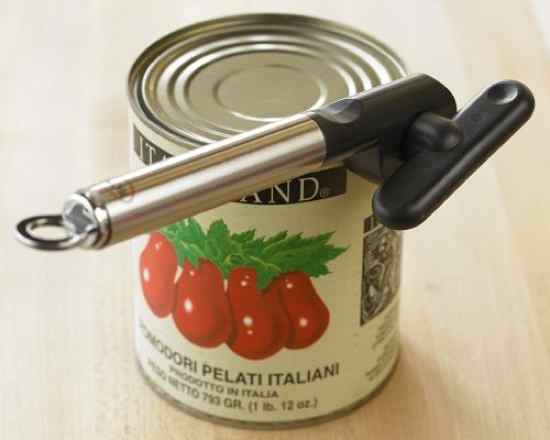 It was not until 1855 that the first tin can opener was patented. The first openers worked much like a knife until 1870, when a rounded wheel design was patented. This design was difficult to use as it still required brute force. In 1925, the tin can opener as we know it – with the double wheel – was patented. To this day it remains the most popular style. The very first diet soda was invented in 1952, and was called “No-Cal Soda-Pop”. Hyman Kirsch and his son Morris, both Russian immigrants living in the Williamsburg section of Brooklyn, New York, began selling sodas in 1904. Their involvement with the Jewish Sanitarium for Chronic Disease, led them to the invention of a sugar-free drink to meet the needs of the hospital’s diabetic patients. 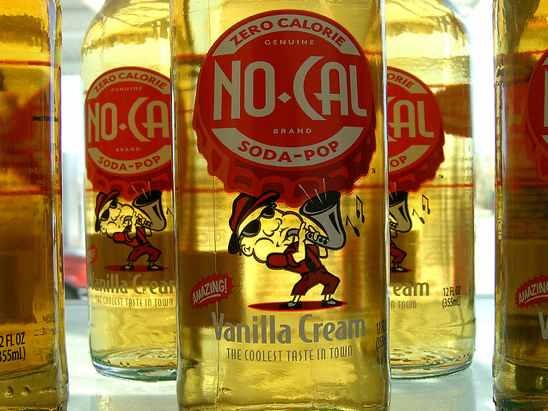 Nyman and Morris developed a line of carbonated, sugar-free, zero-calorie soft drinks which they called No-Cal that was known for special flavors like chocolate and black cherry. In the mid 2000s, INOV8 Beverage Company brought the product back to life. Despite the name, the primary flavoring ingredients in a cola drink are sugar, citrus oils (from oranges, limes, or lemon fruit peel), tamarind, cinnamon, vanilla and an acidic flavorant. Manufacturers of cola drinks add trace ingredients to create distinctively different tastes for each brand. Trace flavorings may include nutmeg and a wide variety of ingredients, but the base flavorings that most people identify with a cola taste remain vanilla and cinnamon. Acidity is often provided by phosphoric acid, sometimes accompanied by citric or other isolated acids. 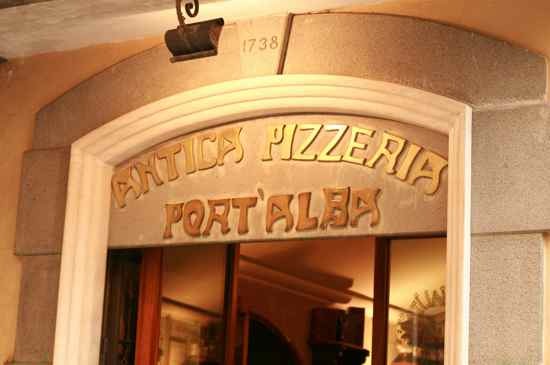 First established in 1738, as a stand for peddlers, Antica Pizzeria Port’Alba was opened in 1830, in the town center at Via Port’Alba 18, becoming the world’s first pizzeria and takeout joint. The restaurant replaced street vendors who would make pizza in wood-fired ovens and bring it onto the street, keeping it warm in small tin stoves they balanced on their head. It soon became a prominent meeting place for men in the street. Most patrons were artists, students, or others with very little money, so the pizzas made were generally simple, with toppings such as oil and garlic. A payment system, called pizza a otto, was developed that allowed customers to pay up to eight days after their meal. The pizzeria is still in business today. The tongue is a muscle with glands, sensory cells and fatty tissue that helps to moisten food with saliva. 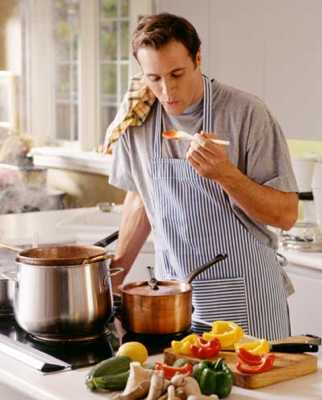 You cannot taste food unless it is mixed with saliva. For instance, if salt is placed on a dry tongue, the taste buds will not be able to identify it. As soon as saliva is added, the salt dissolves and the taste sensation takes place. Furthermore, without a sense of smell, even saliva won’t help you – smell makes an immense contribution to the taste of the foods we eat.